Images of the newest Moto X flagship phones surfaced over the weekend, and it looks like Motorola has a cool new feature in store for the handsets, which are tentatively titled Vertex and Vector Thin. There are 12 dots near the bottom on the backs of each phone in the photos, which were first leaked by hellomotoHK on Google+. While some had speculated that these were just speaker holes, it turns out that they're actually ports for attaching accessories like stereo speakers or a battery pack. 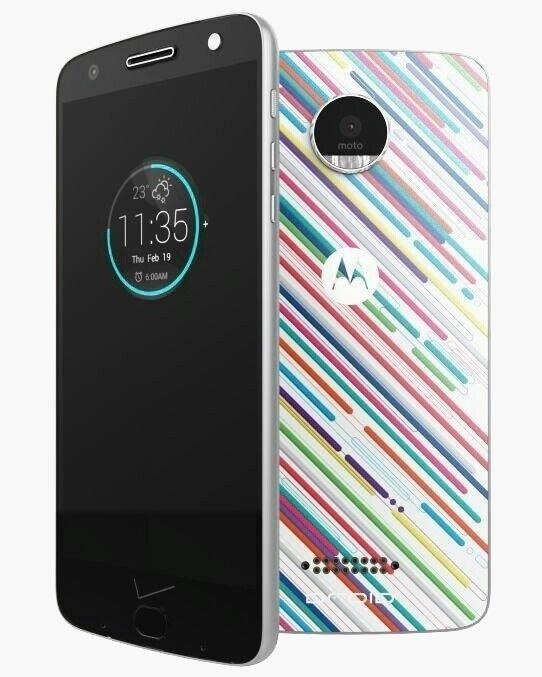 The first images of the Moto X Vertex (left) and Vector Thin (right) appeared on Mother's Day. There will reportedly be at least six of these modular attachments, called "Amps," available at launch: a colored backplate that is included for free with either phone, a camera grip with flash and optical zoom, a pico (or handheld) projector, and a rugged cover with a wide angle lens, in addition to the speakers and battery pack. Third-party manufacturers will also be able to sell Amps of their own, so we'll have to wait and see what sorts of ideas Motorola and others can come up with. 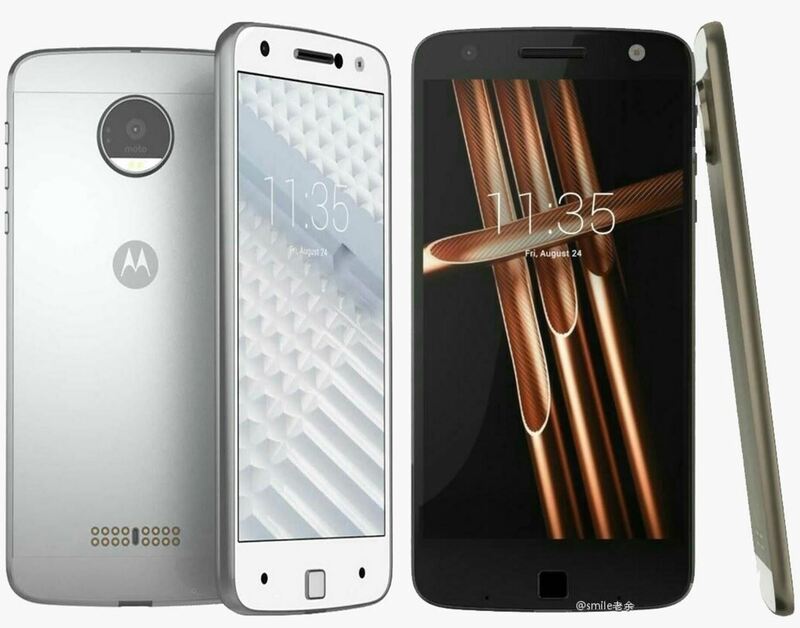 The Amps are, of course, reminiscent of the Magic Slot on the LG G5, but the Motorola phones should give designers a little more leeway. Modules for the LG G5 have to fit inside the phone, but putting the ports on the Vertex's and Vector Thin's exteriors means that space won't be as much of a concern. Vector Thin is the higher-end model of the two. It will run on Qualcomm's Snapdragon 820 with either 3 GB or 4 GB of RAM, and ship with 32 GB of internal storage. While both handsets feature a 5.5-inch AMOLED display, Vector Thin touts Quad HD resolution, while Vertex will only be Full HD. It hasn't been confirmed, but one of the leaked pictures indicates the phone will have an an always-on display. Vector Thin earns its name by measuring only 5.2 mm in thickness, but it looks like that's going to come at the sake of battery life. The handset will only have a 2,600 mAh battery, so it's a good bet that you're going to need the extended battery Amp. Hopefully, Vector Thin also supports quick charge—if you're going to have to charge the thing up every six-to-eight hours, it better at least be fast. Vertex will run on a Snapdragon 625, and will be sold in versions with either 2 GB RAM and 16 GB internal storage, or 3 GB RAM and 32 GB storage. Vertex is also slightly thicker at 7 mm, but will sport a much larger 3,500 mAh battery. As for cameras, Vector Thin is equipped with a 16-megapixel camera with laser-assisted, phase-detecting autofocus. Vertex will have a 13 MP sensor with optical image stabilization and laser autofocus.